SPFL Premiership. Kick-off: 3pm, Saturday 14th December. THIS fixture would have screamed “home banker” had it been played a few weeks ago with Dundee in dismal form and Kilmarnock flying high under Steve Clarke's shrewd management. 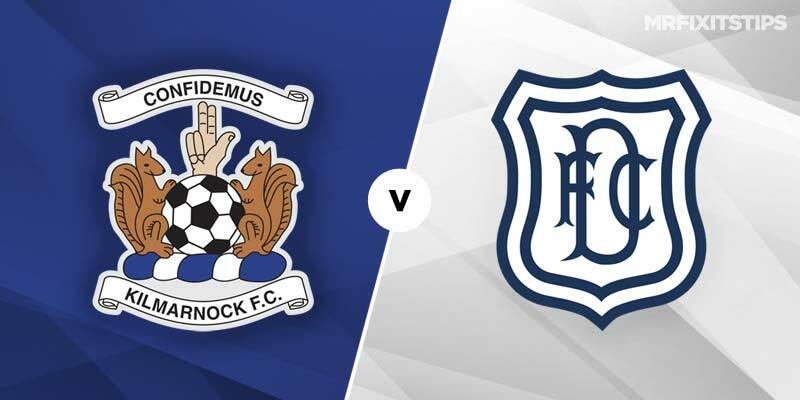 But Dundee's stunning recent revival means they are far from no-hopers as they head to Rugby Park looking to move further away from the bottom of the Premiership. It's now four games unbeaten for the Dark Blues under Jim McIntyre and it's no mean feat considering they faced Hibs and Rangers in two of those matches. Last weekend's battling point at home to Steven Gerrard's men also came after playing most of the game with 10 men thanks to Nathan Ralph's red card. The defender will sit this one out suspended but Dundee should still give Kilmarnock a testing afternoon. Killie briefly topped the Premiership table before coming crashing back down to earth with a 5-1 thumping at Celtic Park last weekend. With the Hoops not playing until Sunday, Clarke's side can return to the summit again on Saturday and the bookies are backing them to do just that. A Kilmarnock win is priced at just 13/25 by 888 Sport who have Dundee as 21/4 outsiders and the draw at 3/1. Those odds on McIntyre's men seem way too generous and it may pay to place a couple of quid on the Dark Blues in the draw no bet market at 4/1 if you believe Kilmarnock will react badly after their Parkhead pounding. However, Killie have been hard to beat at home and their last two games at Rugby Park have seen them chalk up wins while keeping a clean sheet. If you fancy a repeat of that then 888 Sport offer odds of 5/4. Eamonn Brophy was surprisingly benched by Clarke against Celtic but came on to score a penalty and should earn a start for this one. The Killie striker looks a good option at 5/1 to open the scoring and excellent value at 41/20 for anytime scorer, given he takes free-kicks and penalties. After netting six goals in his last four games it's no surprise to see Kenny Miller as the favourite for a Dundee goal. The veteran is 9/1 to break the deadlock and 4/1 for anytime scorer.